Stichting Lezen (the Reading Foundation) was founded in 1988 by the Dutch Booksellers Federation, the Dutch Publishers Association and the Public Library Association. Since 1994 the organization has administered the reading promotion budget provided by the Dutch Ministry of Education, Culture and Science. The objective of Stichting Lezen is to promote the pleasure in reading, both in Dutch and Friesian (Netherlands’ second official language). The foundation coordinates existing activities and encourages the development of new and innovative initiatives, methods and tools that are instrumental in reading promotion. This includes the promotion of scientific research in this specialist field. The foundation’s policy gives priority to the target group aged up to 21. 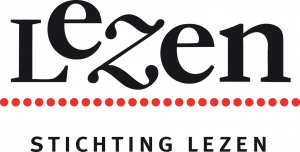 Stichting Lezen offers a broad platform for public and private organizations and companies. It initiates and participates in networks on the local, regional and national level. It exchanges and distributes useful information. Stichting Lezen also serves as a national information center and it can refer people with specific inquiries to the relevant organizations and recommend scientific and professional information or the organizations concerned. The foundation also organizes publicity campaigns bringing reading to the attention of a broader public (well known are: the National Reading Aloud Contest and the National Reading Aloud Days). Since 1998 the foundation has a chair in Reading Behaviour, which is associated with the VU University Amsterdam.